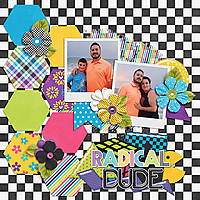 Fun, fun page! I love how dogs will "eat" water, lol! 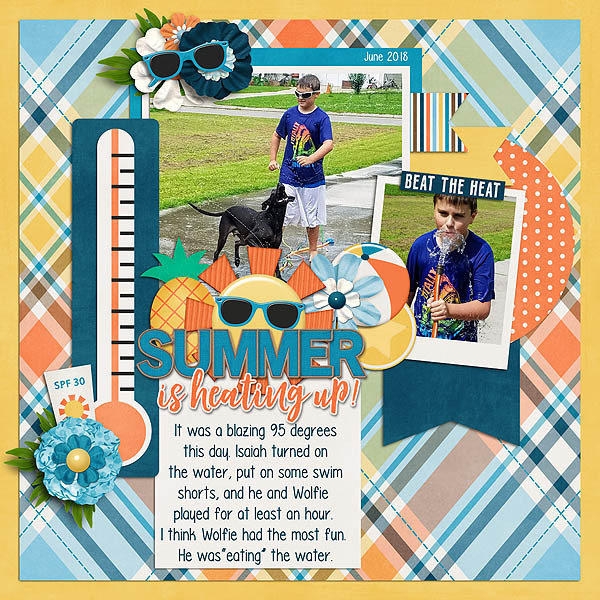 The photos capture summer fun so well! I love title work and the wonderful plaid paper! The thermometer is a great element to add! The beauty of digital scrapping- you get to play with favorite and memorable photos as many times as you like and have the pleasure of creating two individually similar but very different pages! Love the wonderful wordart title cluster as a header for the journaling. Love the thermometer element that ties in with the title sentiment. This page is very fun!! 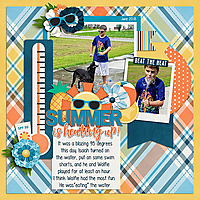 I love the photo with the garden hose, and I too, scrap photos over and over. It's beautiful - and I love your word art!